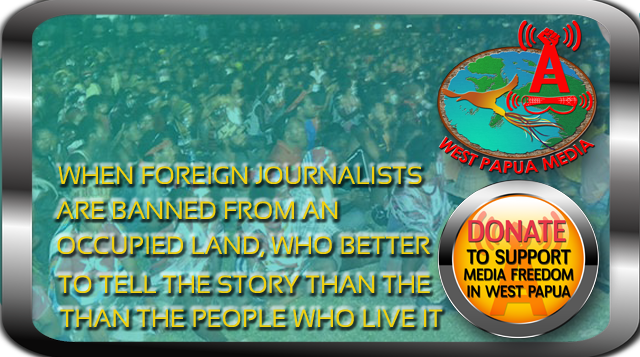 What a lawless land of beatings and killings is the land of West Papua. Indonesia is known for its rule of fear methods to maintain the upper hand in all of West Papua, why is this so? More and more tribal lands are given over to a mix of raiding international corporates and wealthy Indonesian opportunists, all have the desire to acquire wealth from the many regions where forests remain untouched and minerals lay in the ground yet to be discovered. Inevitably Indonesia hast become internationally known as a country ripe for exploitation, with it comes high levels of violence dealt out by whatever authorities happen to be at hand to allow this festering greed to escalate as it has in the case of the huge Grasburg mine located in the region of Puncak Jaya. Corporates make their own rules, the government of Indonesia sit back and count up their royalties as the genocide continues, if not actual genocide killings then it is extreme violence and beatings that become the local rules in this claimed by Indonesia land of West Papua. Yet there is never seen any UN intervention, quite possibly they to would be shot or severely beaten in the same manner as the indigenous people of this land. So one could suggest that the Indonesian government rely on the extreme brutality and violence to aid their economic growth. One must follow the money trail to identify the evil captains that profit by the slaughter of their fellow men, principally government ministers, police commanders and or their related family members. Reblogged this on GO OKA WEMOHA(WE).